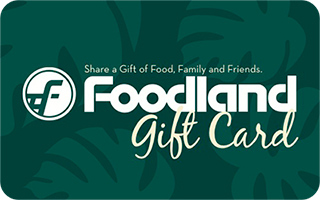 Foodland Gift Cards are available in six denomination values ranging from $25 to $500. Gift card may only be used at Foodland Super Market Hawaii stores. You can purchase up to 20 gift cards online. To purchase more than 20 gift cards, please contact services@foodland.com.